Xpress Money, one of the world’s most dependable money transfer brands, was one of the main sponsors of the 5th QIA Champion League – All India Football Tournament in association with Qatar UAE Exchange. 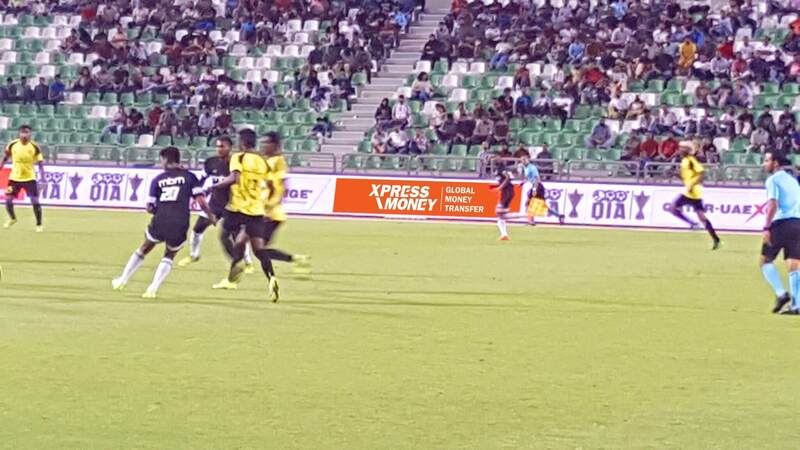 Commenced from 2nd March to 12th May, 2017 in the Doha stadium, the tournament was completely riveting with Ali International, the pretournament favourites emerging as the winners amongst various teams from different states of India. Approved by the Ministry of Culture and Sports in Qatar, this football champion’s league is recognized internationally and has gained tremendous popularity amongst the Indian expatriate community over the years. As one of the leading IMTO’s, Xpress Money has always supported initiatives that add value to the lives of its customers. Through this initiative, the company was able to engage and support the interest of a key customer segment while strengthening their relationship with the Qatar Ministry.